Cocktail names are a bit like rock band names. You can pretty much pick a noun and there’s a good chance there’s already been a drink named after it. 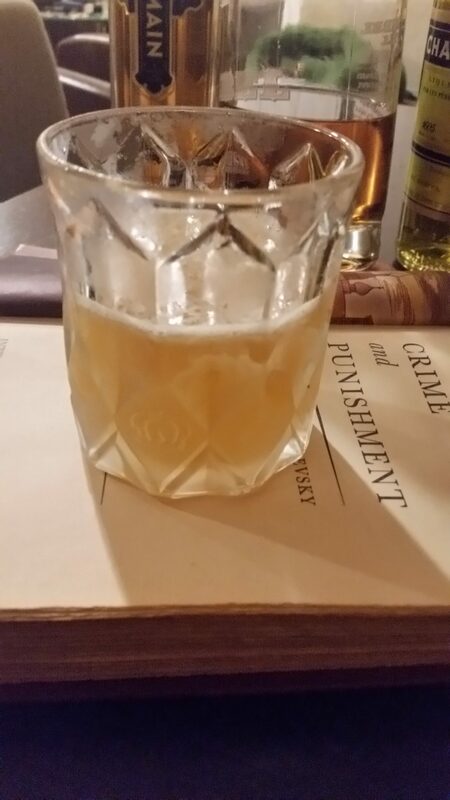 So, as I was pondering the news of the day and trying to find an appropriately topical cocktail, it suddenly occurred to me that there had to be a cocktail somewhere in the world called the Prosecutor. And sure enough, there was, and its name was even generated by the woman who brings this unabashed pinko a great deal of my news. 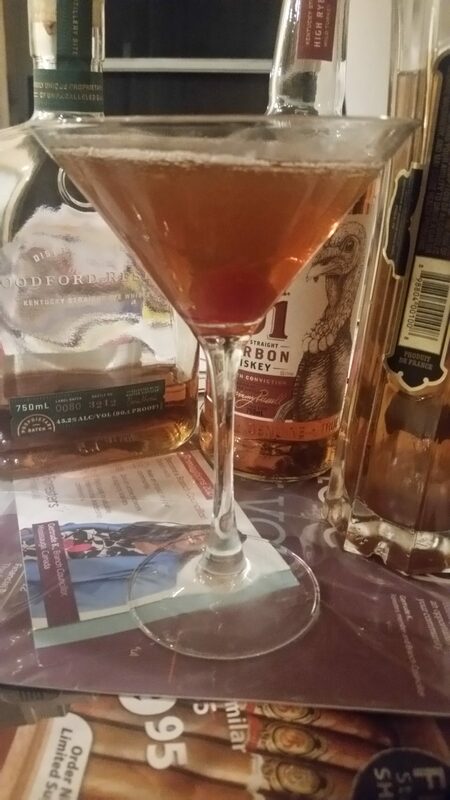 A delicious variation on The Last Word, the Prosecutor was named by MSNBC’s Rachel Maddow, who played no small part in introducing me to the cocktailian world during the waning days of her “Air America” radio show. 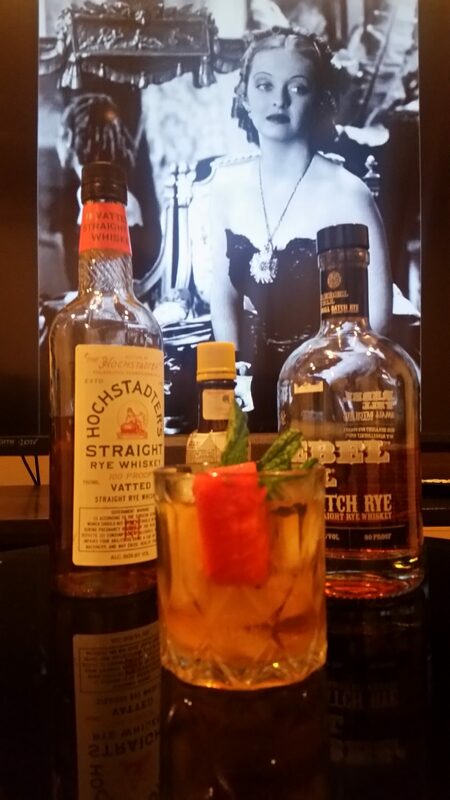 The drink itself was, as per the absurdly prolific Frederic Yarm, concocted by Boston bartender Josey Packard. What’s in a name? 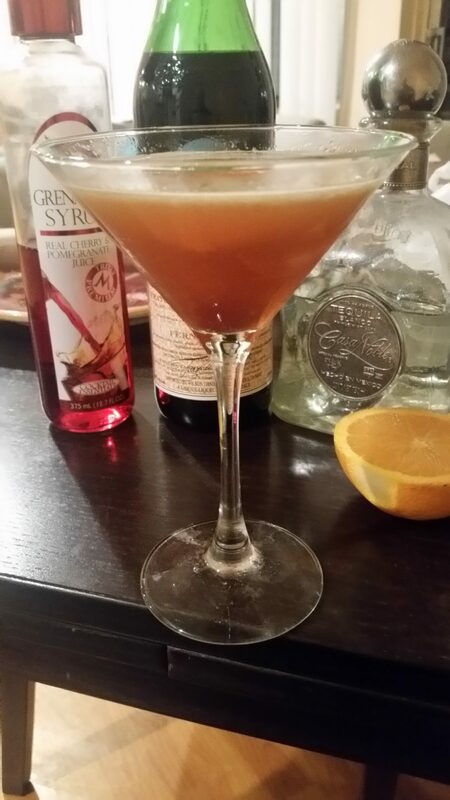 I haven’t a clue, but the Prosecutor is really quite delicious. Refreshing, well-balanced, super boozy and sweeter than you might expect, it’s not a bad way to welcome the summer this Memorial Day weekend. So, we’re back with this year’s fourth and final salute to the TCM Fest 2017. While this year’s festival was tinged with sadness, largely because of the departure from our planetary sphere of people like Robert Osbourne, Carrie Fisher and Debbie Reynolds, I can also honestly say I had as good a time as ever. It’s largely the fact that, even for a committed geek like me, there’s always the chance to discover movies that I might have missed before, or if I did see them, it was in a beat-up print on the second half of a double bill on a weekday night when I was the worse for wear and in no shape to absorb good cinema. Indeed, I honestly can’t remember whether or not I’d ever seen 1936’s “Theodora Goes Wild” before this year. However, I now know that it’s easily one of the smartest and most iconoclastic films in the cycle of screwball romantic comedies that ran through the 1930s and 1940s. The film stars Irene Dunne as a seemingly super-upright, small-town spinster (today we call them “adult single women”) who is secretly the author of an allegedly steamy bestselling novel; her costar is the invariably roguish Melvin Douglas as a troublemaker who gets more than he bargained for when he needles the beautiful writer, presuming she is a teetotaler. She takes offense at the suggestion and, careful to put him in his place, she orders a “straight whiskey,” and then another, and another. Directed by George Cukor and reportedly adapted by original playwright Garson Kanin (with a little help from wife Ruth Gordon), “Born Yesterday” is the kind of movie that my mother and I loved but which cinephiles often ignore. Perfectly rendered stage play adaptations might get multiple Oscar nominations and ecstatic reviews the year they’re released, but as time marches on, film snobs have a way of playing down most movies where the word threatens to be more important than the image. I’m sure a few may also resent “Born Yesterday” in particular because co-star Judy Holiday won the Best Actress Oscar for it against both Gloria Swanson in “Sunset Boulevard” and Bette Davis in “All About Eve.” It might seem shocking to some, but Ms. Holiday’s performance entirely deserved to be in the same ballpark with those two legendary heavy-hitters. And so does the film as a whole. Seeing “Born Yesterday” again for the first time in probably a couple of decades, I was surprised to find not just a well-rendered, literate and often hilarious rom-com (such things were once relatively common!) but also a sharp satire that is, if anything, almost excruciatingly relevant to our time. Last year, as we all know, wasn’t so great, and I’m not sure that any of us know what to make of this one. But in a year full of public tragedy and disaster, the saddest purely show business moment of 2016 for many of us was the back-to-back passings of Carrie Fisher and her legendary mother Debbie Reynolds. So it made a lot of sense that TCM Fest 2017 featured a number of Reynolds’ films and one written by Fisher. 1990’s “Postcards from the Edge” is a reportedly loose adaptation of Carrie Fisher’s own 1987 novel and is a fairly direct semi-fictionalization of her own struggles with multi-substance addiction, debatable romantic choices, and life itself. Directed by Mike Nichols, it’s a solid piece of inside-Hollywood comedy on the precipice of tragedy in which a working actress (Meryl Streep) tries to check out of rehab and back into some kind of emotional stability. Standing in the way is whatever it was that was making her drug herself to oblivion in the first place and her own loving but overly complex relationship with her formidable Hollywood legend of a mom (Shirley MacLaine). The movie does a solid job of bringing the sun-dappled, stress-filled world of workaday Hollywood to life, even if it only hints at the mental health demons that Carrie Fisher would later discuss in admirably frank detail. It’s also not afraid to make drinking look pretty fun. After all, no one would develop a problem with the stuff if it wasn’t so damned attractive. Yes, it’s time once again for our annual salute to classic cinema and this year’s TCM Film Fest. The 2017 edition was a bittersweet affair this year due to the passing of the network’s universally beloved host, Robert Osborne. Mr. Osborne was a unique figure in the annals of cinephiles and movie buffs in that, though he never looked old enough for this to be true, he had begun his career as an actor in the old studio contract system of Hollywood’s classic-era heyday. 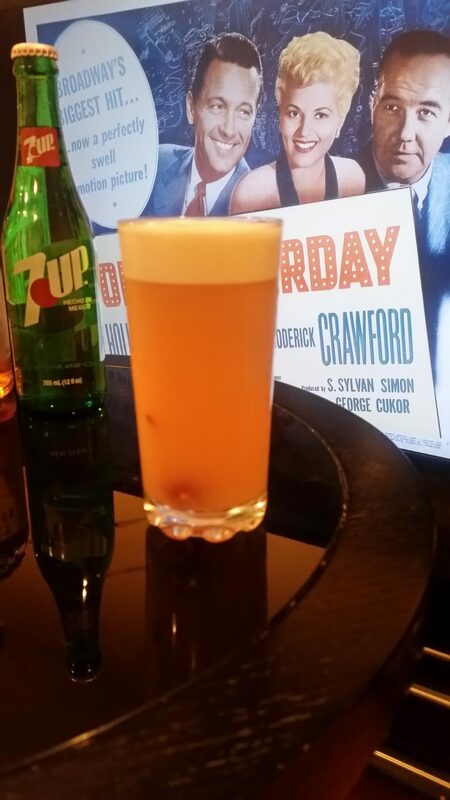 So, I guess we should go ahead and dedicate the first of our cocktails to him. We’ll start with the first film I caught this year, William Wyler’s 1938 “Jezebel,” starring Bette Davis as a fiery, self-centered belle who manages to muck everything up between her and fiancé Henry Fonda with her acts of wanton rebellion. On the one hand, there’s no getting around the idea that Davis’ character is set-up as an antiheroine not so different from Scarlet O’Hara of “Gone with the Wind” fame, a role many fans felt was tailor made for Davis. (This film was regarded as something of a consolation prize, though it’s quite possibly the better film.) On the other hand, looking at things through a more contemporary and more feminist lens, it’s really about a woman driven to assert some power in a world ruled by males, who start all the wars and make all the rules. When she finally breaks one rule too many, it’s by wearing a red dress to a ball. Yup, in pre-bellum New Orleans, an unmarried woman wearing a red dress in public was enough to start a chain of events that could lead to death for anyone foolish enough to take a strong position on the lady’s honor. It was really the worst thing in the world to wear that dress. And, yeah, these people all own slaves. So much for priorities.